Copyright © 1995 B. W. Clough. First published in the Fall 1995 issue of the Bulletin. A writer needs many gifts to succeed. One that I fatally lack is the gift of titling. I can write a good book or story, but choosing an appropriate, zingy, marketable title for it is often beyond me. To compensate for this appalling handicap, I’ve analyzed the theory and practice of titling to a fare-thee-well. I can’t precisely say the analysis helps me find workable titles, but it does keep me busy. It is only an article of faith among writers that the right title can make or break a book. It would be expensive but interesting to set up an airtight experiment that would actually prove that a sufficiently bad, inappropriate, or undistinguished title will send a novel to the remainder tables. But we may look at historical examples. The classic instance might be Gone with the Wind, which was titled Pansy until the heroine’s name change forced an alteration. And you could argue that, considering his later career, Adolf Hitler’s autobiography might have sold perfectly well under its wordy original title, Four-and-a-Half Years of Struggle Against Lies, Stupidity, and Cowardice. But in my opinion, Mein Kampf is really snappier and more cogent. Certainly it is true that a book these days is frequently marketed to bookstores on the cover flat and title alone, long before the actual text is printed. The buyers and jobbers never get a chance to read the deathless prose you sweat over. The first print run is then set depending on how copious those early orders are. And except in rare circumstances, the writer has no say at all about the cover art. So the book may stand or fall, utterly and solely, on the title you choose. Characters. These would include not only those titles which are actually names (David Copperfield, Hamlet) but also titles which describe main characters or their attributes (A Wizard of Earthsea, Ringworld Engineers). Objects. Everything from real items (The Beasts of Tarzan, The Sword in the Stone) to the conceptual (Foundation, A Wrinkle in Time, The Languages of Pao). Events. Rendezvous With Rama, Star Wars, When Worlds Collide. Places. Red Mars, Islandia, Lord Valentine’s Castle. Times. 2001, The Day After Judgment, 1984. Themes. The most perfect theme title in the industry is Stranger in a Strange Land. Also Pride and Prejudice, The Iron Dream and The Wind in the Willows. Gobbet Titles. These are distinguished from theme titles because they are small gobbets of text. A well-chosen gobbet title has an incomparable vigor: “‘Repent, Harlequin!’ Said the Ticktockman” is a perfect example. Consider also I See By My Outfit or The King Must Die or Expecting Someone Taller. And in a moment I’ll discuss the gobbet title’s evil twin, the reverse gobbet. Miscellaneous Titles is the oddball category, into which I’ve lumped relatively rare items like twist titles (The Idylls of the Queen), pun titles (many of Piers Anthony’s works), and “explanations” (“Why I Left Harry’s All-Night Hamburgers” comes to mind). And where else could we put Fahrenheit 451, one of the exceedingly rare temperature titles? With these broad categories in hand, a writer can sit down with her manuscript and try to attack the title problem in a systematic way. For instance, I can contemplate my hero and instantly dismiss “character” as a title possibility. If I had named him Elric of Melnibone or THX 1138, there might be hope, but he labors under the mundane and uncharismatic name of Rob Lewis. One may cycle rapidly through object, event, place, and time titles in this way, too. Theme titles, however, are a bottomless sump for time. Even if you can condense the theme of your book into a relatively terse sentence (“Rings of Power are mondo bad news for hobbits”), it may not lead you to a viable title. I have tried writing key thematic words onto 3×5 cards and then shuffling them. I have also wasted many hours reading poetry and leafing through Bartlett’s Familiar Quotations, hoping to light upon a felicitous yet apposite phrase. Bartlett’s is particularly agonizing because you can look up in the index all those key thematic words from your 3×5 cards. It is astounding how many quotations there are that contain all your key words, yet do not guarantee a phrase of any relevance. And then at the library there are many other compendiums of quotations, and if you’re obsessive like me you have to scope them all out. The best years of your life can be devoured in this way. But the true black hole for title efforts is the gobbet. Of course I trawl through my every manuscript, hoping to fish up a pearl like Gone with the Wind. There never is one. Then I inevitably get tangled up in the dark side of the gobbet, looking for a title that I have categorized as the reverse gobbet. 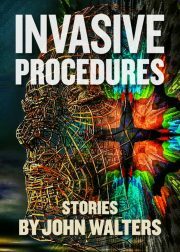 A reverse gobbet title is developed like this: Suppose in a fit of insanity I decide to title my novel Vacuum Cleaners of Venus. Not only is this a horrendous title — imagine the cover painting! — but the novel has no vacuum cleaners in it, and does not take place on Venus. Remember, however, that I am insane — so I insist on using this title. Though the phrase cannot be found in the story as it stands, I can forcibly insert it. I can make a character exclaim, “Vacuum cleaners of Venus!” I can plaster the phrase onto the nose cone of her starship. I can trail it across her skyline on advertising banners towed by winged dragons phasing in and out of Between. I can blare it from her stereo speakers as she powers her TIE fighter in toward the Death Star. The omnipotence of an author is a terrible and awful thing. Nor do I have to limit myself to a single reverse gobbet effort. If I generate three single-space typed pages of possible titles (as the late James Tiptree once did for Brightness Falls from the Air), I could wedge every single one of those phrases into my unfortunate manuscript as a reverse gobbet. That way madness lies — and it rarely improves the prose! By definition, reverse gobbet titles are hard to prove. Unless the author confesses to the practice, the title will look like an ordinary gobbet title. One may have suspicions, though. I have always thought that the play “The Effect of Gamma Rays on Man-in-the-Moon Marigolds” was a reverse gobbet. And indeed, if you stumble across a fine title lying by the side of the road, why not write a good story to fit it, and then reverse gobbet the title into the text? The great Raymond Chandler used to do this, keeping lists of possible story titles in his notebooks that he never came around to writing the novels for. The most sensible and painless way to find a title is to have it safely in hand before starting to write. I admire and envy writers who can consistently do this. It isn’t always possible, and in the writing the story may peel off in a direction that makes the working title irrelevant, but all in all it saves endless hassle. I knew the title of this piece before I ever set pencil to paper. “The Theory and Practice of Titles” is exactly right. Unless … should it be “The Theory and Practice of Titling”? This article isn’t really about titles, after all. It’s about problems finding titles. Maybe “The Dark Side of the Gobbet,” itself a fine gobbet title, would be jazzier. Oh, heavens! Is this a Bartlett’s I see before me, the index toward my hand? In my edition there are only 16 entries under “title.” This shouldn’t take more than a couple of hours…. 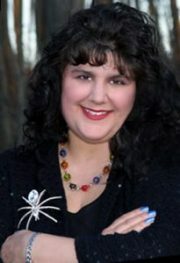 Brenda W. Clough is the author of five novels and a number of short stories, the latest of which appeared in Science Fiction Age (“To Serve a Prince”) and the anthology How to Save the World (“Product of the Extreme”). In 1994 she wrote three novels in rapid succession. The entirety of 1995 has been devoted to finding titles for them.